Soyuz MS-07 was the 136th flight of a Soyuz spacecraft since its debut in 1967. 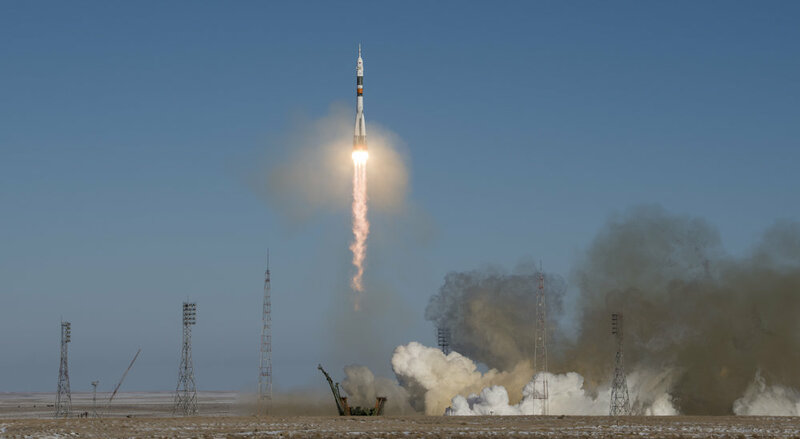 It launched atop the 49.5-meter tall Soyuz-FG rocket. The vehicle has two or three stages, depending on how you classify the four strap-on boosters. Each of the 19.6-meter long liquid-fueled boosters is powered by an RD-107A engine that produces some 838.5 kilonewtons of thrust at sea level. They are attached to the 2.95-meter wide, 27.8-meter tall core stage that sports a single RD-108A engine, which at launch produces about 792 kilonewtons of thrust. The upper stage is 6.7 meters long and 2.7 meters in diameter. Its RD-0110 engine produces 66,980 pounds-force (298 kilonewtons) of thrust in vacuum. After the upcoming Dragon berthing and Soyuz docking, the next major activity for the ISS will involve seeing the Progress MS-06 cargo freighter undock from the Zvezda service module. That is anticipated for late-December 2017.